By Bernard J. Mauser, Ph.D. While little more than a third of respondents (36 percent) could name all three branches of the U.S. government, just as many (35 percent) could not name a single one. Just over a quarter of Americans (27 percent) know it takes a two-thirds vote of the House and Senate to override a presidential veto. One in five Americans (21 percent) incorrectly thinks that a 5-4 Supreme Court decision is sent back to Congress for reconsideration. The call for basic civics education can help us to regain some of that which has been lost. The study of civics should include more than is currently taught. Government – where one person or group rules over another – is an ethical activity. This may come as a surprise when looking at our current government. Over a century ago Mark Twain quipped, “It could probably be shown by facts and figures that there is no distinctly native American criminal class except Congress.” When teaching government, I start with asking students what improvements our nation has experienced since its founding. Overwhelmingly students recognize our technology is better. There is, however, a sense that certain practices in our society are worse (even if some are better). Thomas Jefferson appeals to natural law in the Declaration of Independence in reference to inalienable rights that were violated. Natural law is the universal moral law that gives a grid through which to evaluate whether a law is good or not. Note that this law was cited when condemning the evil of the Nazis after WWII. The Apostle Paul refers to this in Romans 2 as the moral law written on the hearts of all people. Given its importance, both instructors and politicians should be very familiar with natural law in order to judge whether a law is good or evil. There are other aspects to the Constitution a Christian worldview shapes. If these aren’t grasped, it undermines the context for understanding this founding work. It is also why so many disregard the Constitution and in effect destroy the limits of government. One belief of the founders was that man is inherently sinful. This explained the structure of the government they devised. James Madison famously wrote in The Federalist 51: But the great security against a gradual concentration of the several powers in the same department, consists in giving to those who administer each department the necessary constitutional means and personal motives to resist encroachments of the others. The provision for defense must in this, as in all other cases, be made commensurate to the danger of attack. Ambition must be made to counteract ambition. The interest of the man must be connected with the constitutional rights of the place. It may be a reflection on human nature, that such devices should be necessary to control the abuses of government. But what is government itself, but the greatest of all reflections on human nature? If men were angels, no government would be necessary. If angels were to govern men, neither external nor internal controls on government would be necessary. In framing a government which is to be administered by men over men, the great difficulty lies in this: you must first enable the government to control the governed; and in the next place oblige it to control itself. A dependence on the people is, no doubt, the primary control on the government; but experience has taught mankind the necessity of auxiliary precautions. Note that human nature (in contrast to angels) is given as the reason for the separation of powers. This was so no single branch gains power over the others. Due to the desire men have to dominate others, dividing powers keeps the other branches of government in check (establishing the system of checks and balances). The Constitution not only delineates the expressed powers of each branch of government, it also is given to protect citizens from the federal government. Those familiar with history know that the Federalists and Anti-Federalists debated this very topic and the result is seen in the ‘Bill of Rights’ added to the Constitution. Note that these rights restrain the Federal government. Perhaps the most neglected, and arguably the most important, the tenth amendment is a robust statement defending state’s rights against an encroaching federal government. It says, “The powers not delegated to the United States by the Constitution, nor prohibited by it to the States, are reserved to the States respectively, or to the people.” The significance of this amendment is huge. States can use this amendment to stand against federal regulations that have gone far beyond what is allowed in the Constitution. The founders also did not view the Federal government as superior to the government of States. Federalism is the view that there are two levels of government having authority over the same group and yet are independent of each other. This was a unique contribution of our nation’s founders. It was an idea that had never been heard of before 1787. Government exists not only to restrain evil, but to promote good. Politics and government is NOT a neutral activity, but is by its very nature daily engaging in debate and enforcement of laws that are taken to be good in order to oppose evil. The founders all agreed that government has a vested interest in inculcating virtue in its citizens. Moral guidance and promoting virtue is essential to a nation that values freedom and desires to maximize human flourishing. The natural law explains why people have the right to life, liberty, and the pursuit of happiness. To guarantee its citizens these things required protection from not only foreigners, but also from domestic powers. The primary domestic power that created concern was in fact the Federal government itself and the Constitution served to keep this power in check. In order to have liberty AND the ability to pursue happiness, the Federal government needed to minimize their intrusion into the lives of its citizens while protecting them from foreign powers. In sum, every course that teaches American government or civics should provide a study of ethics rooted in natural law, the proper understanding of Federalism, and delve into how the founder’s view of human nature influenced the structure of government. These three areas were developed from a Christian worldview and provided a unique answer that was unheard of before this time in world history. Until the time when the Lord returns as our judge, lawgiver, and king – our American government as it was originally conceived may be the best human government we can have. 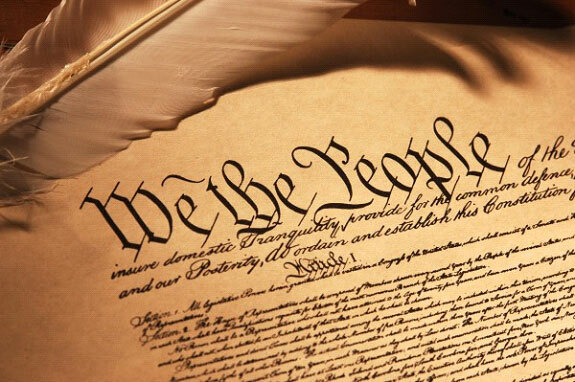 Understanding the Constitution and returning to its restrictions on the Federal government is perhaps the greatest hope we will have for mankind to flourish as one nation under God. At WCA, students study the different types and foundations of government along with the Constitution as part of their 10th grade Civics class.